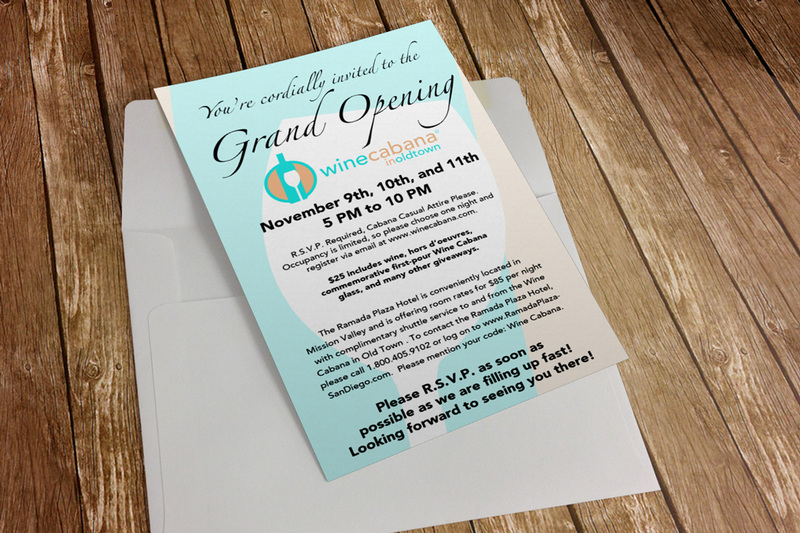 A Cabana Wine Bar in Old Town? 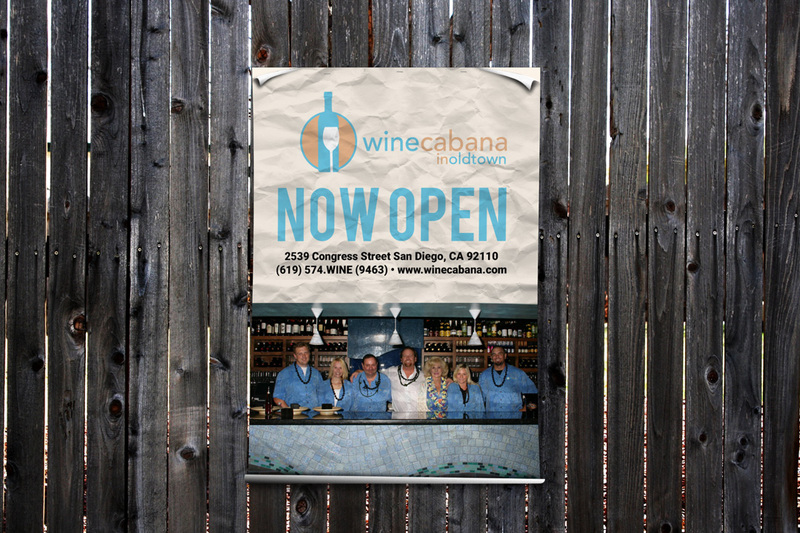 A cabana themed Wine Bar in traditional Old Town San Diego seemed out of the norm in an area rich in Mexican culture but the Wine Cabana became a hot spot for people visiting Southern California. We developed every aspect of the brand, from creating their iconic logo to producing the grand opening campaign and developing monthly marketing campaigns. 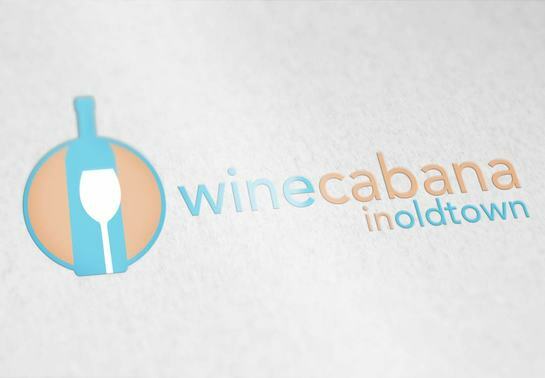 The softer pastels gave a beach feel with the bold icon of the wine bottle and wine glass gave us the fuel to put an exclamation point on any of the designed projects we produced. 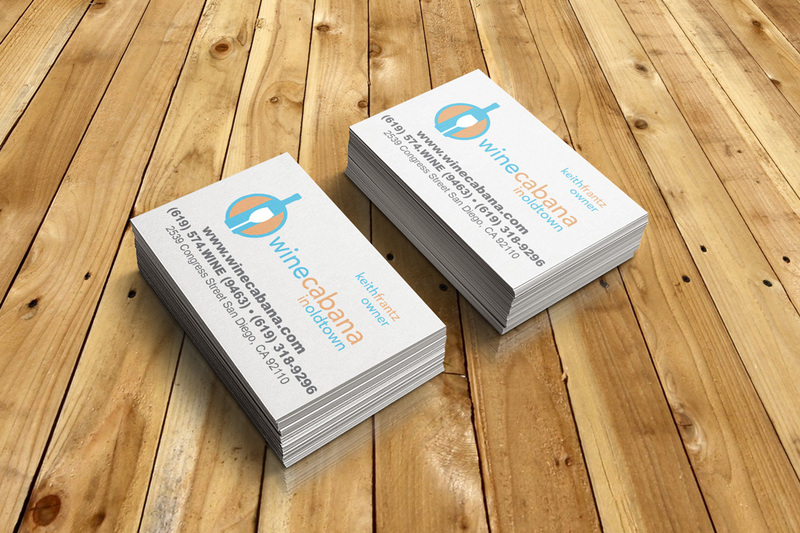 We designed the logo, business cards, signage, first pour glasses,, menus, monthly calendars and advertisements. Below are some of the projects we developed.